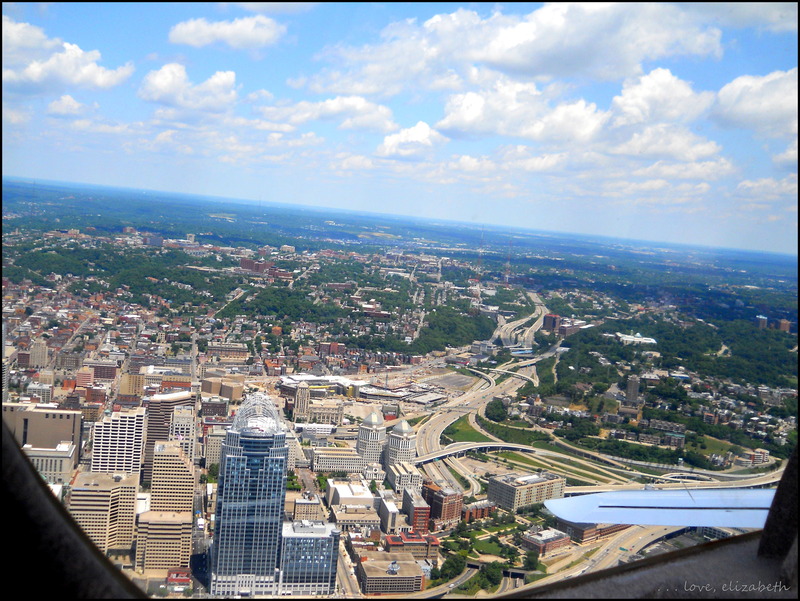 I had arrived in Cincinnati around six that morning, and after I got to my friend Meredith’s apartment, we went straight back to sleep. Now, several hours later, I was waking up to her reading aloud a text message from her co-worker. 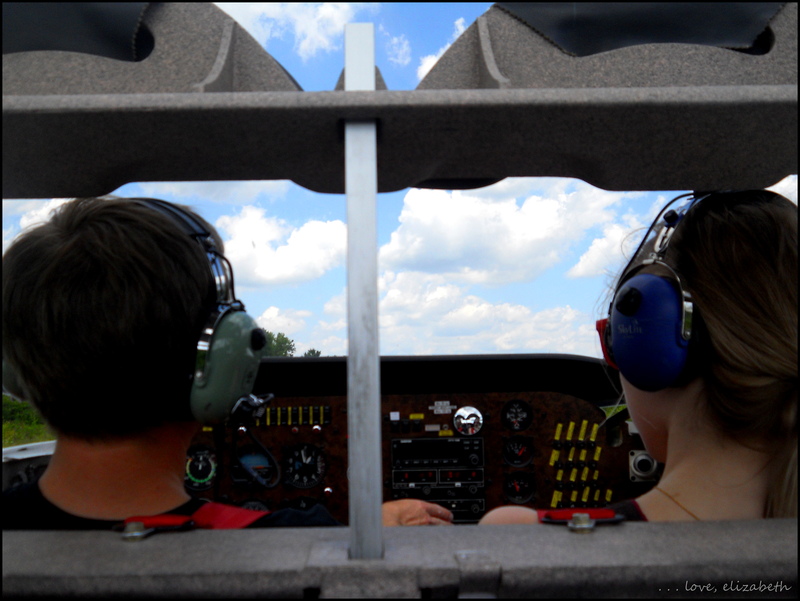 Wolfgang was a pilot and was offering to take us for a ride in his airplane that day. We got ready and arrived at the airport exactly at noon, where we went into the hangar and found Wolfgang preparing his plane for the flight. 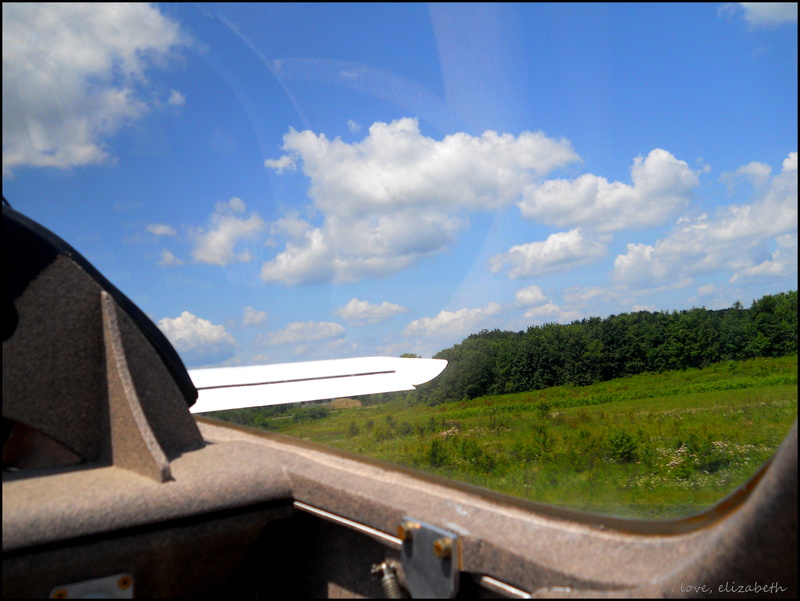 Once everything was in order, he pushed the small plane onto the runway and started to tell us about his plane and his flying experiences. I listened with interest, though only partially understanding a lot of the technical talk about engines and other aspects of the planes. 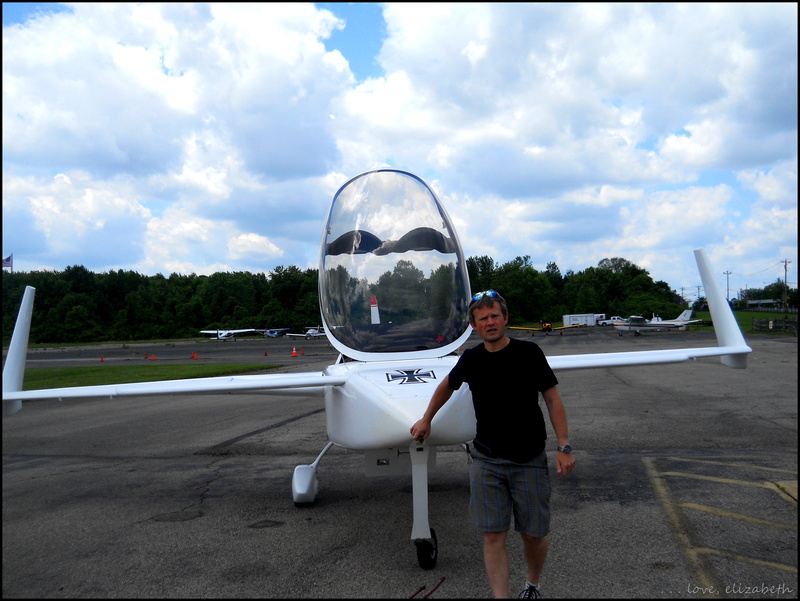 But what really caught my attention was when Wolfgang mentioned that this plane was made of fiberglass and styrofoam. I had never thought about what planes were made of, and suddenly I was in awe of how something as powerful as a plane was made of such simple materials. 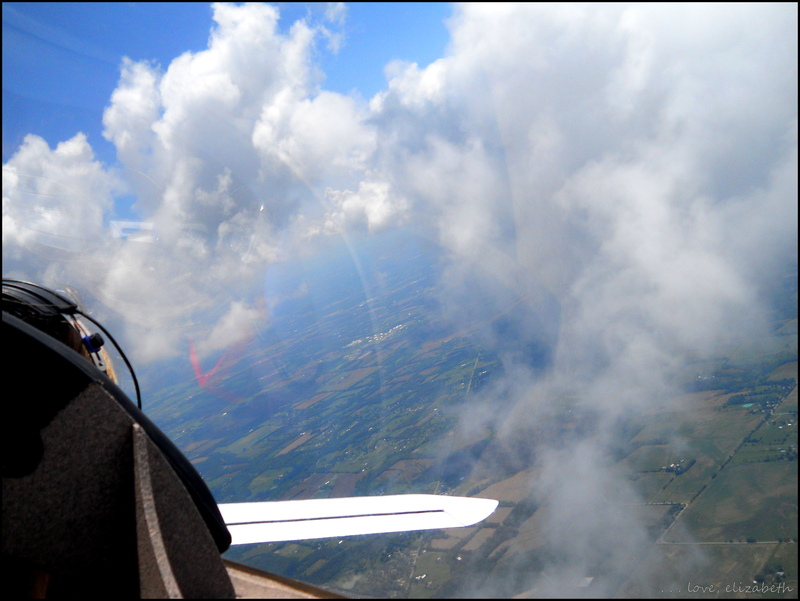 Truthfully, the knowledge also made me a little nervous about flying, and I found myself wishing he had waited until after the flight to tell us that fact. Finally, his spiel ended and he asked us if we had any questions. “Where are we going?” asked Meredith. 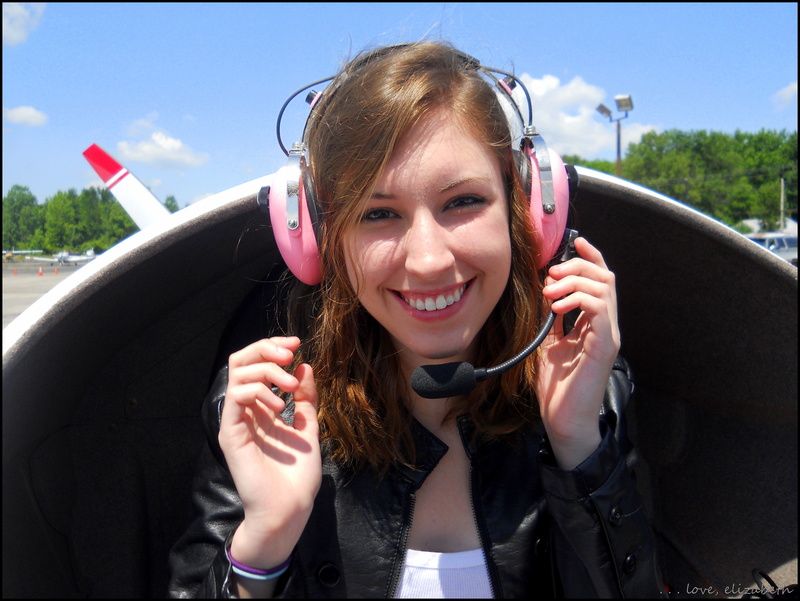 That was a good enough answer for us, so we awkwardly climbed into the little three-person plane. I hopped into the back, and Meredith and Wolfgang situated themselves up front. As we sped down the runway, I forgot my fiberglass-and-styrofoam fears from earlier, too distracted by the rush of excitement. 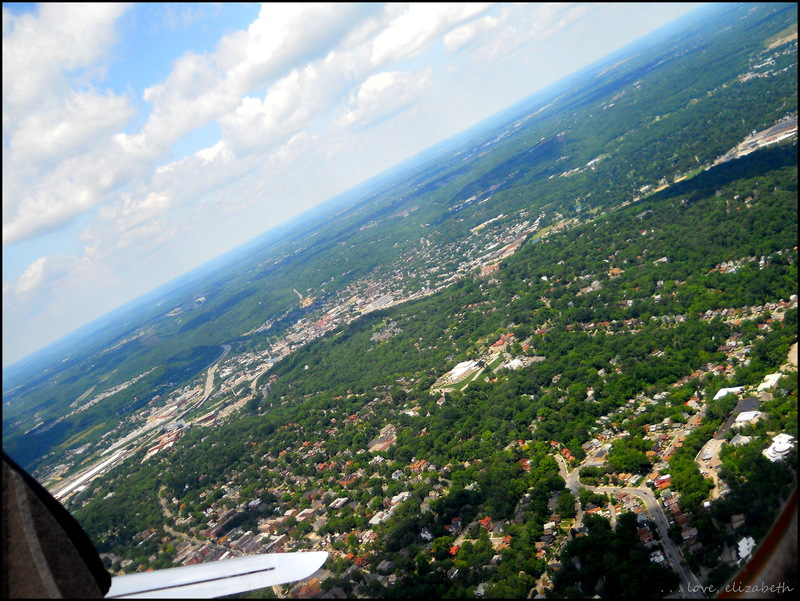 Soon we were off, gliding high above one of my favorite cities in the world, seeing the Queen City from a whole new angle. Wolfgang let Meredith steer for much of the ride, and she took us on a perfect tour of the city. 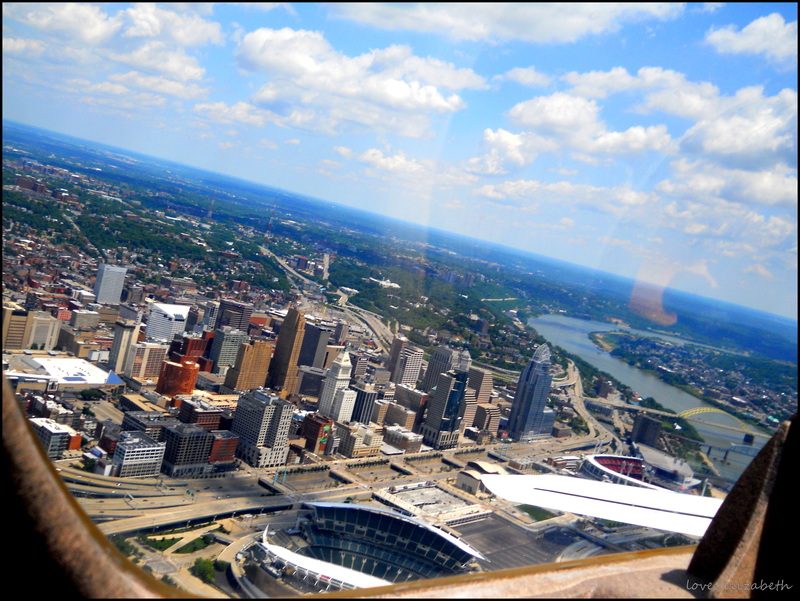 First, we headed downtown and experienced Cincinnati’s iconic skyline from a completely different perspective. 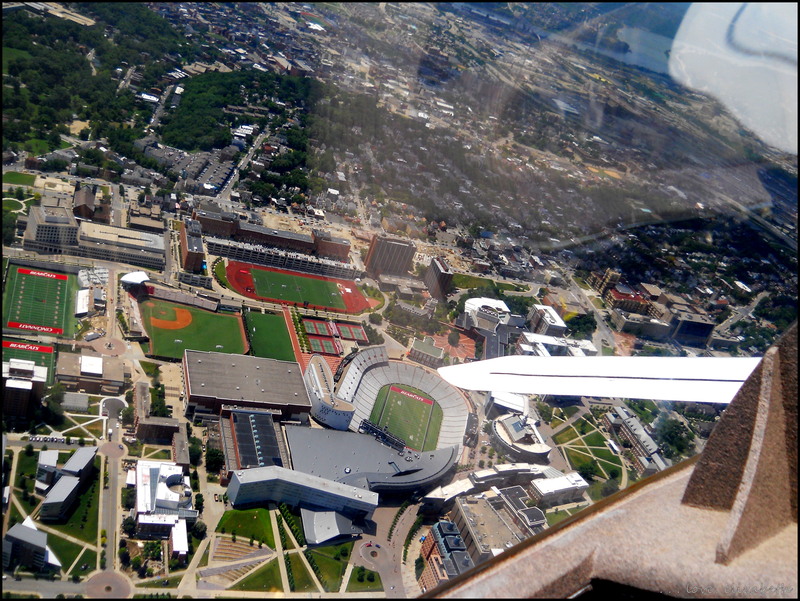 The next item on our agenda was the University of Cincinnati’s campus. 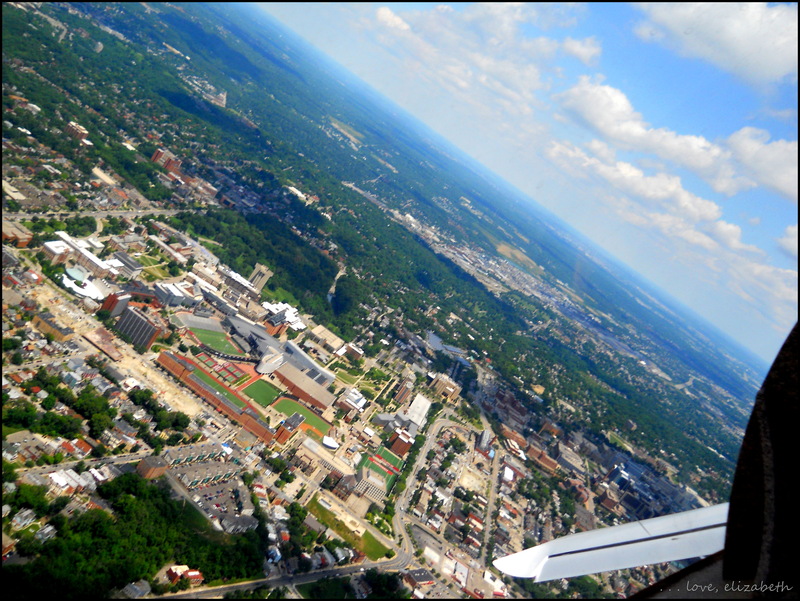 With no other specific locations we wanted to see, we spent the rest of our flight just admiring the surrounding views. 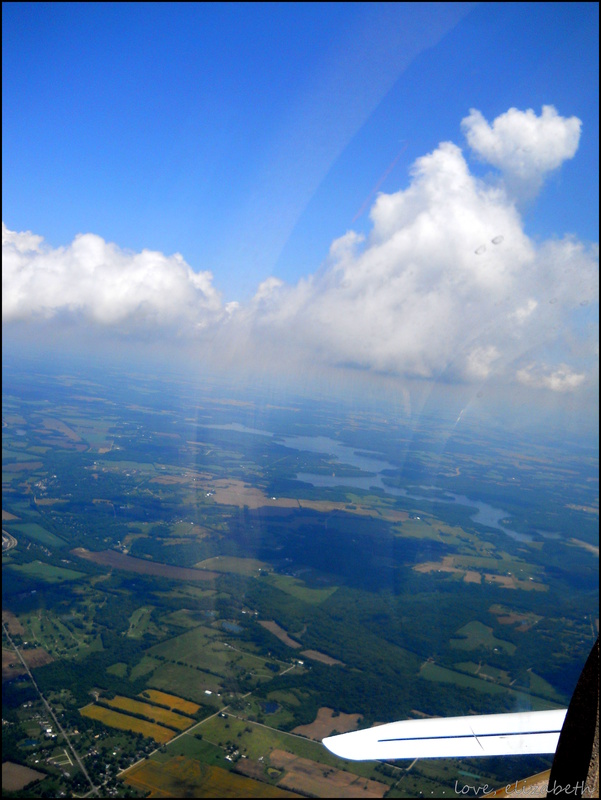 I’ve always loved Ohio’s beautiful landscape, and I really enjoyed seeing it all from above. This was the kind of experience that I would expect to have somewhere else–perhaps a helicopter tour of New York City or a hot air balloon ride through Napa Valley. It was a reminder that there is so much more to do in our own backyards than we think. 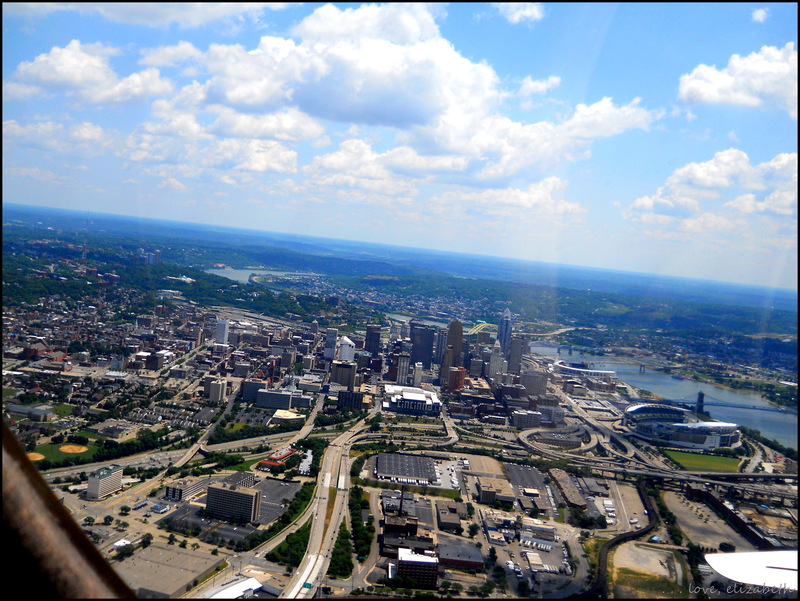 And with views of the Ohio River, Cincinnati’s downtown, the tree-covered hills surrounding the downtown, and the sprawling landscape of northern Kentucky, southern Indiana, and southwest Ohio, my city is a perfect place to fly.